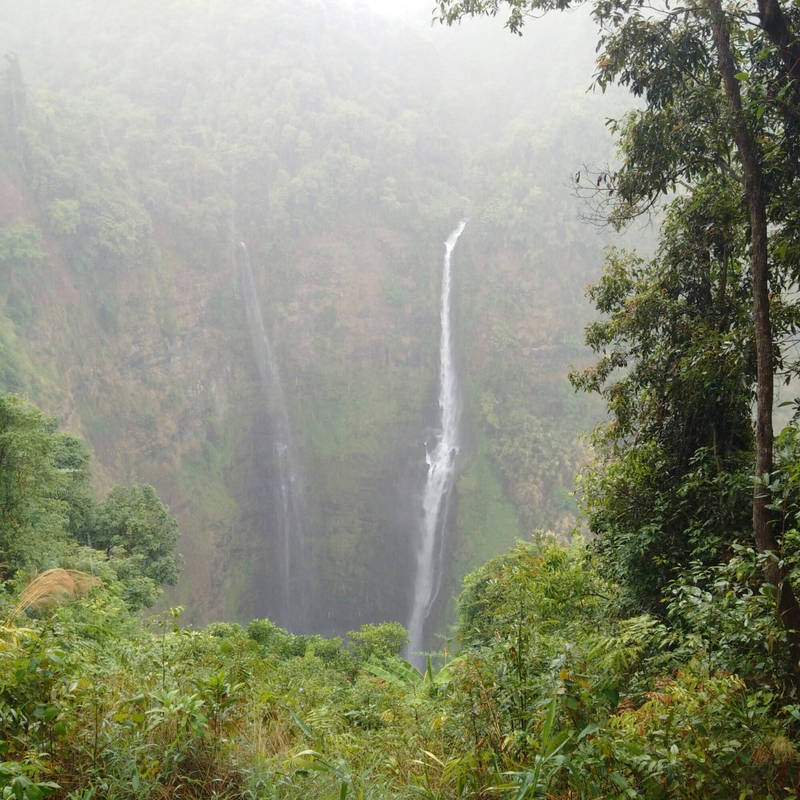 Laos is largely mountainous, but there are relatively few plateaus to be found. As such, this one is prized for the fertility of the soils, with coffee and tea being notable produce. It’s also home to a number of different ethic groups, notably the Laven people after whom the region is named. The plateau is elevated to a level of over a thousand metres above sea level, meaning that for most of the year the climate is somewhat cooler and fresher than the surrounding areas. For a western tourist this is most welcome, the temperature being pleasantly warm rather than exceptionally hot. That is one reason it is worth considering staying here and using it as a base for the surrounding areas rather than Paxse itself. Naturally not all attractions are as close but the peace and quiet appeals, as does the fact that the air conditioning in the room doesn’t need to be on full blast – and doesn’t need to be on at all most of the time. 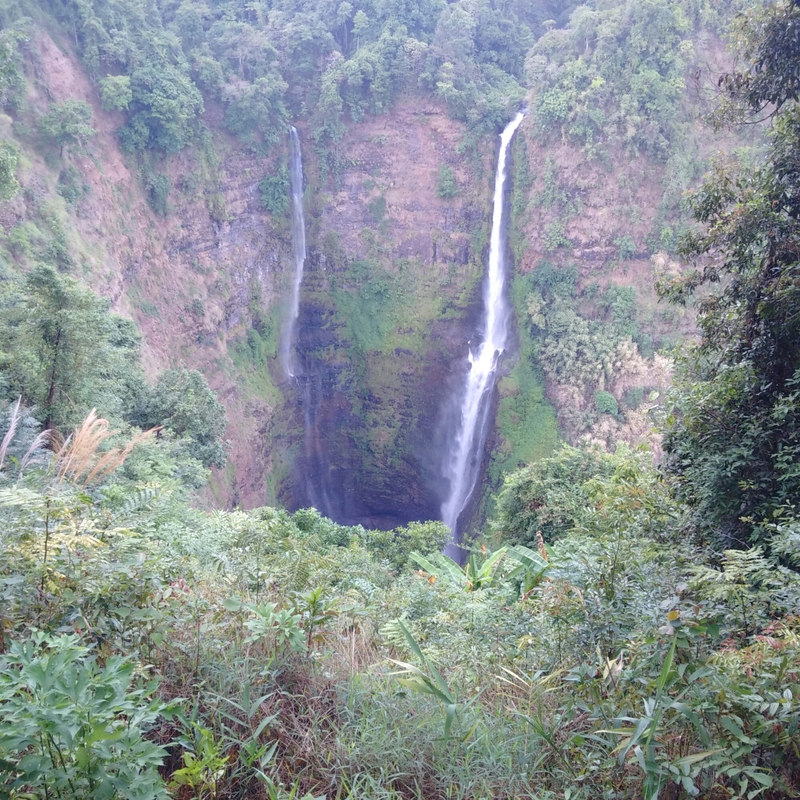 There are of course more waterfalls here, some of which offer the delights of a swim in the pool beneath, but the most famous is the Tad Fane falls, the highest in South East Asia with a drop of 120 metres. The flow does depend on the time of year but they remain spectacular year round. Visiting the local villages and seeing the way of life is another attraction, while many of the coffee and tea plantations welcome visitors to see the process and of course most of all, sample the produce. Real coffee isn’t as widespread in Laos as might be hoped for, so it becomes something of a treat to taste the real stuff. From the title, those with some knowledge of their geography may be scratching their heads, given that Laos is a landlocked country. But the islands referred to are in the middle of the Mekong River, and there are four thousand of them – presumably a clever soul will in future create a salad dressing four times as good as any other?. The largest of them is Don Khong, several kilometres long and wide, and a popular location for tourism. The river itself is, as so often, the principal attraction, for it gives life to the region and provides the most beautiful of backdrops for the visitor. 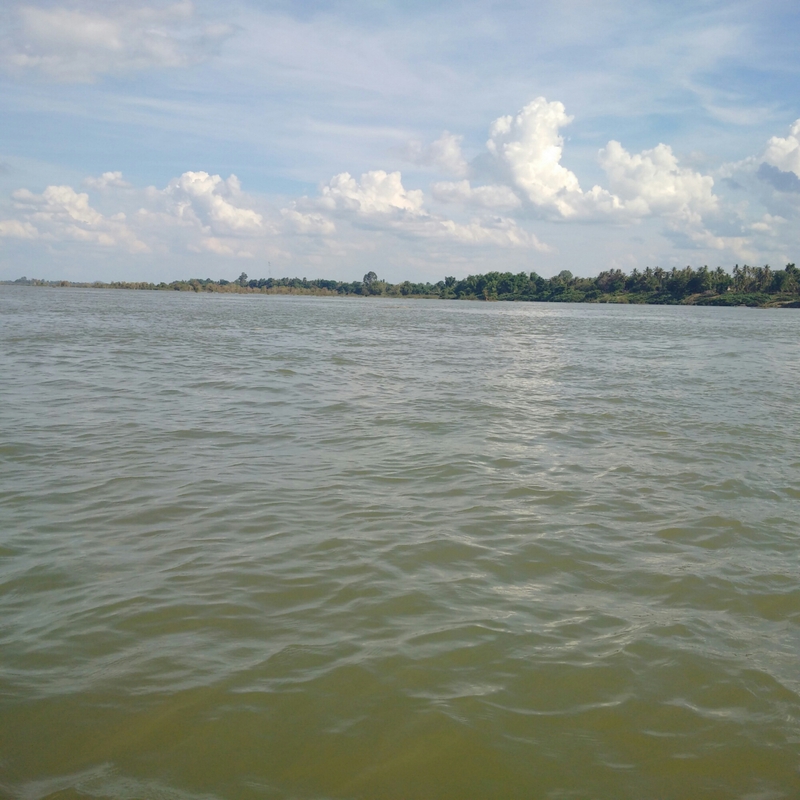 Most activities are driven by the surrounding waters, such as heading off the southern tip of it hoping to see the Irrawaddy River Dolphin. This is a critically endangered animal, it’s survival prospects not helped by the damming of the river at various points. Tourism has often enough assisted with the preservation of species by making their survival valuable (in the interests of balance, tourism has damaged the ecosystem at least as often) and perhaps that may turn out to be the case here. It is to be hoped so at least. Access to the southern tip of the island is via Tuk Tuk, which follows the path of the old railway built by the French who were looking to use the Mekong to develop trade. The railways wasn’t a commercial success and fell out of use. The tracks have long gone, removed for fencing and construction in the area. The locomotive is still extant and can be seen next to where the line ran, and the derrick platforms on the river can too be seen. 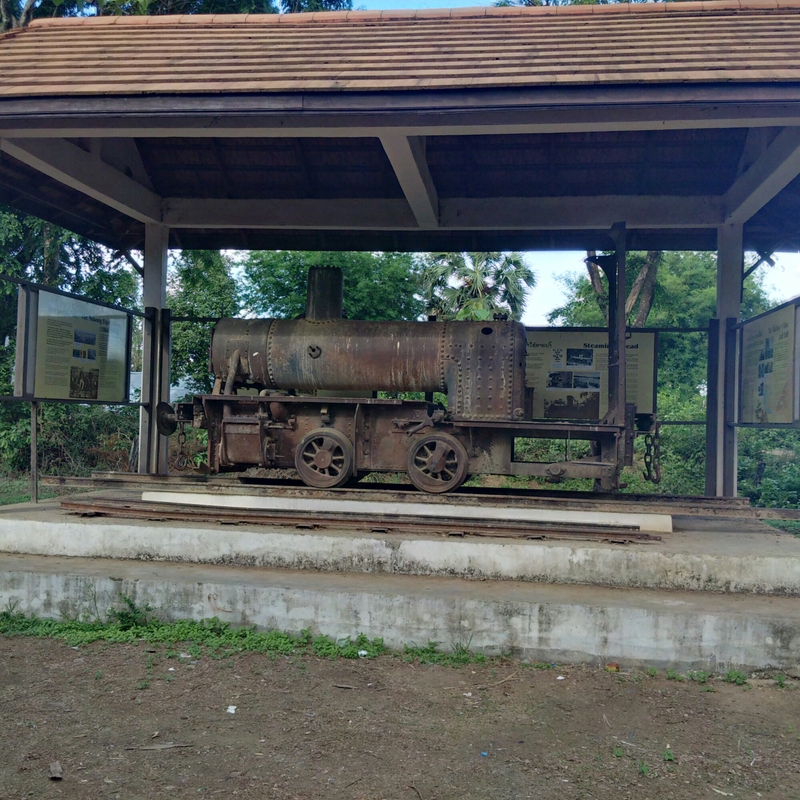 There are some plans to rebuild the railway along the old route and from a tourist perspective this would both make sense and would be a specific attraction in its own right were they to utilise the old equipment. The reason why the railway was needed was because of the waterfalls that made navigating up the river impossible. 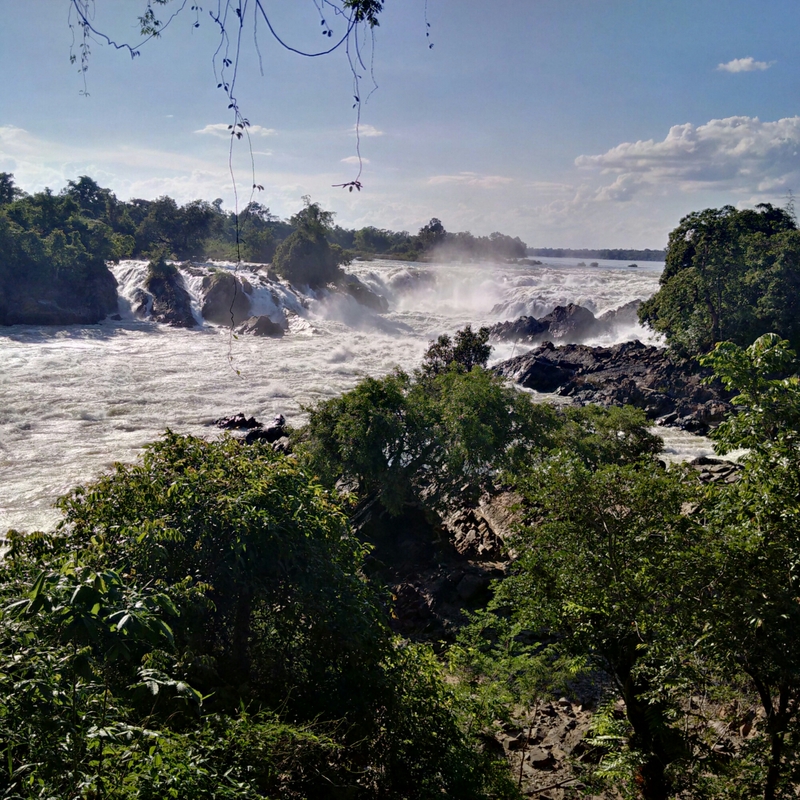 There are numerous examples of large scale falls throughout the region that is centred on Paxse and the ones at Don Khong are large, impressive and numerous comprising a 13km long stretch of rapids. The best by some distance and the largest are those at Khon Phapheng near the village of Ban Thakho. They are undoubtedly spectacular, and have the added advantage of not having suffered from any attempt at “improvement” of the natural wonder. By Lao standards, entry is quite expensive at 55,000 Kip, but it still only amounts to £4 and is a must see. 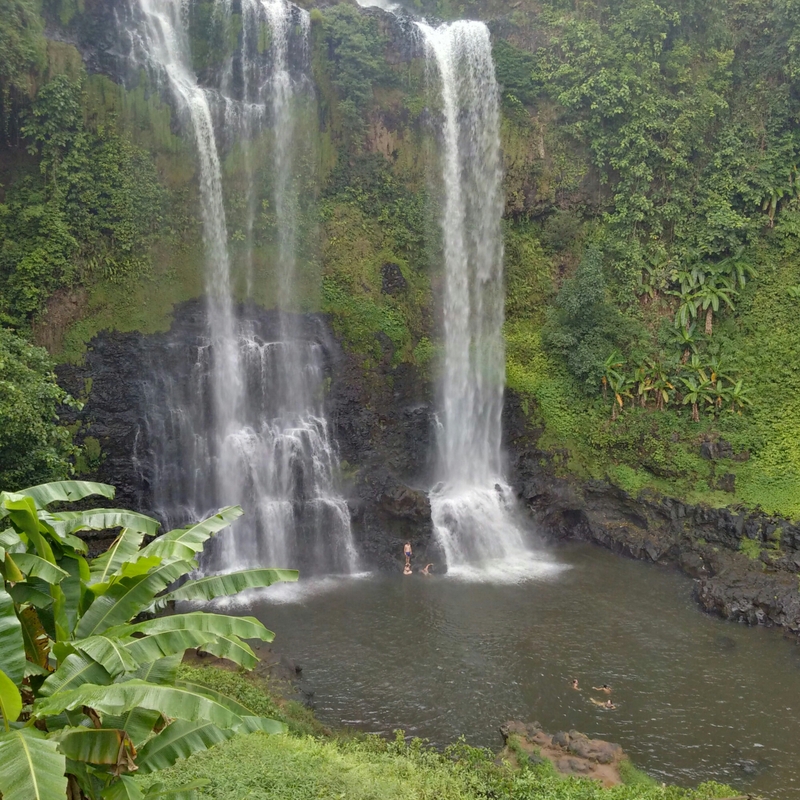 Waterfalls are wonderfully impressive no matter how many you see. The simple truth of it is that seeing them is the thing, talking about them not so much. When I was a child I vaguely recall reading an Enid Blyton book where the child protagonists made an escape from their dastardly captors through an underwater river. The tale is long forgotten, but I do thoroughly recall the excitement of it to that young mind. If travel is to be about new experiences, then this certainly counts. For that youthful read is something I haven’t thought about for 30 years, and probably won’t think about for another 30, yet an underground river holds a endless fascination. 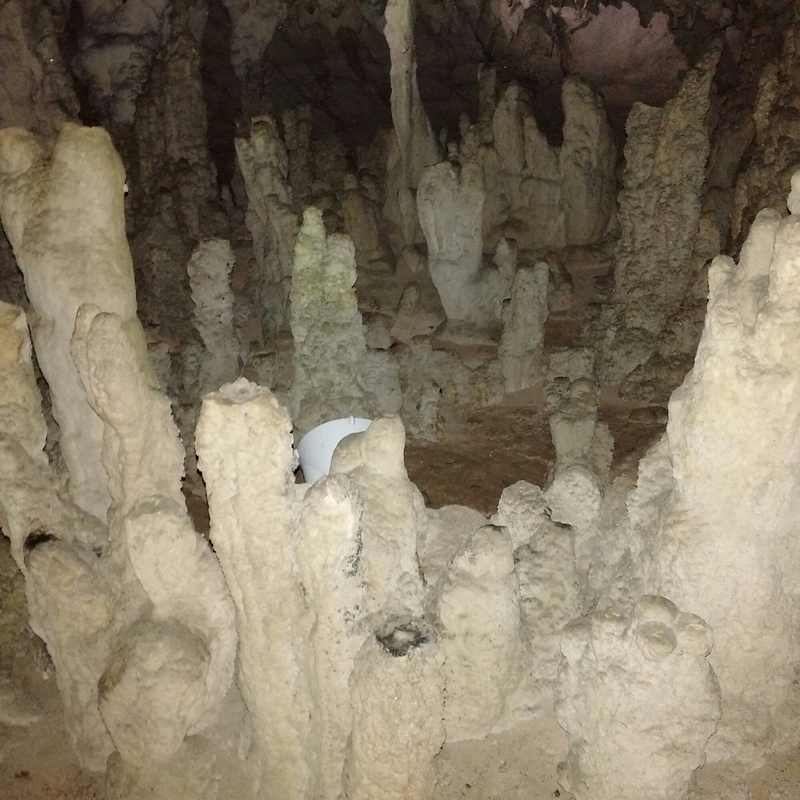 The Kong Lor caves are an undoubted highlight of any trip to the region. 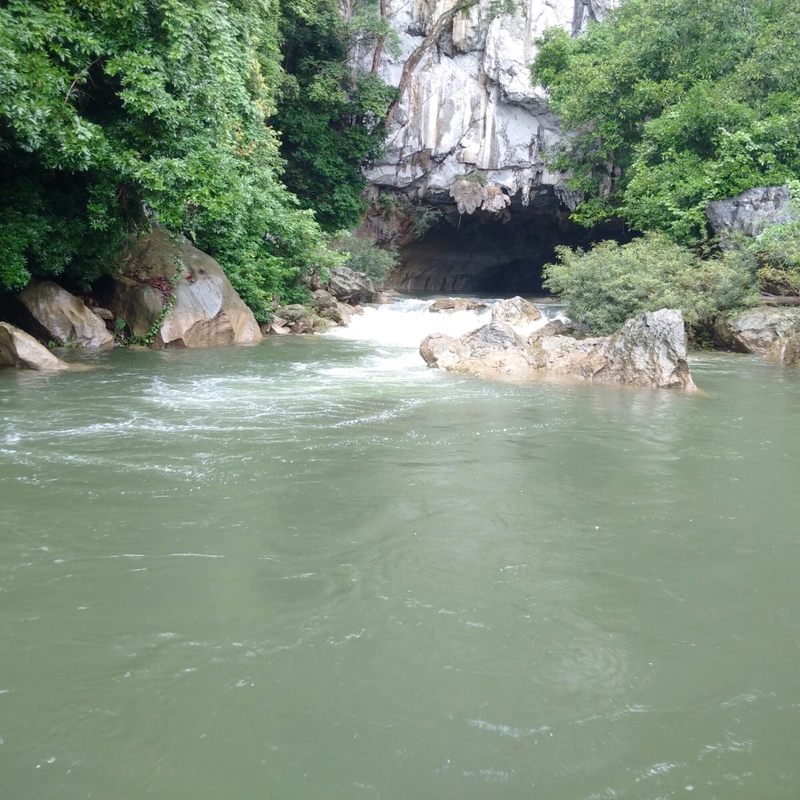 Located in Phou Hinboun Nbca, they arch over an 8 kilometre long underwater river. The entrance itself is truly beautiful, the river flowing out into a large pool with an impressive mountain backdrop. 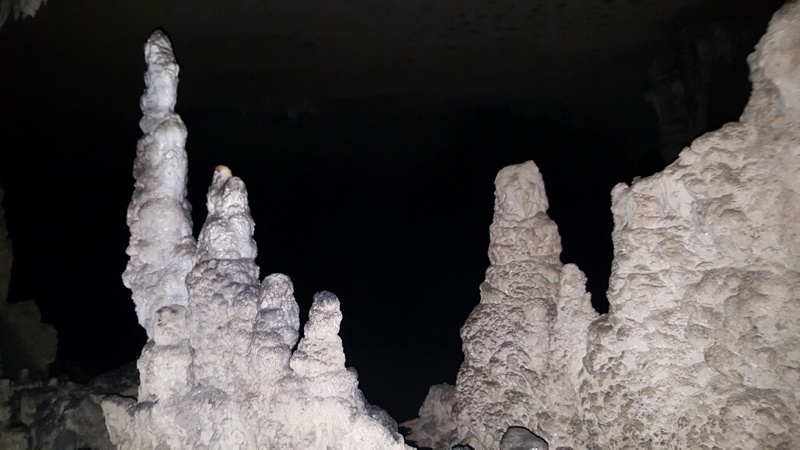 Within there are stalactites and stalagmites aplenty, with each cavern spacious and spectacular and the Naga Palace in particular taking the breath away. In order to reach each one you travel by boat, and if there’s one thing which is at once both surprising and very obvious, it is that it’s extremely dark inside. Apart from the torch of the boatman, the only sensations are the motion of the craft and the sounds of the water rushing by. To that end it’s important to remember you are going to get wet walking to an from the boat through the shallows, so dress accordingly. The warm weather means you soon dry off but flip flops and shorts are the order of the day. 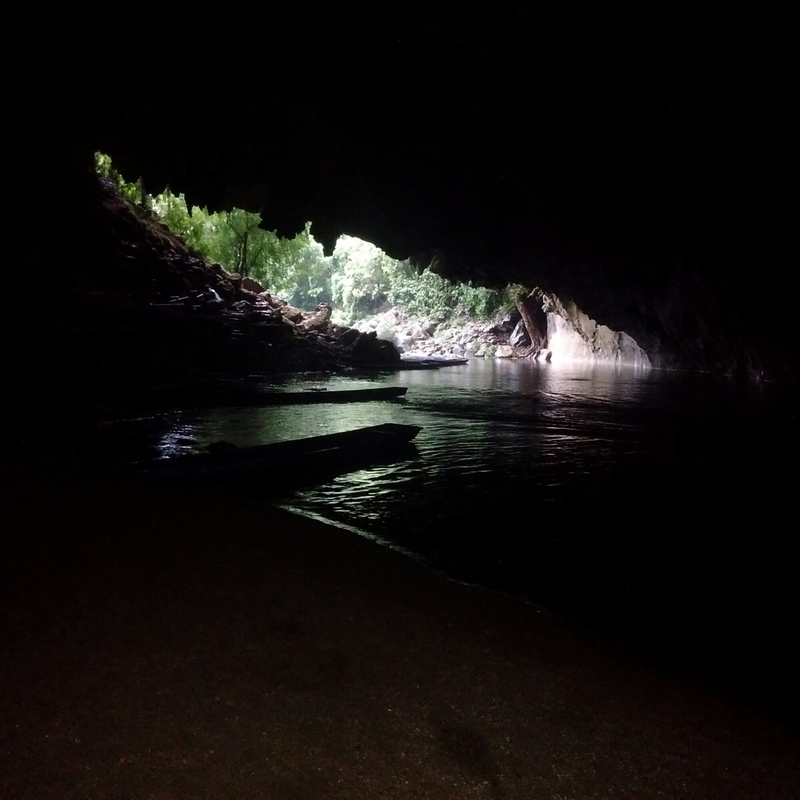 The caves are normally lit, but power is unreliable and in many ways seeing it in the darkness with torches flashing is the best experience of all. Within you have no end of stalactites and stalagmites to view and the darkness caused by a power cut added to the experience if anything. Seeing a cave as it should be seen is perhaps the best part of the visit. 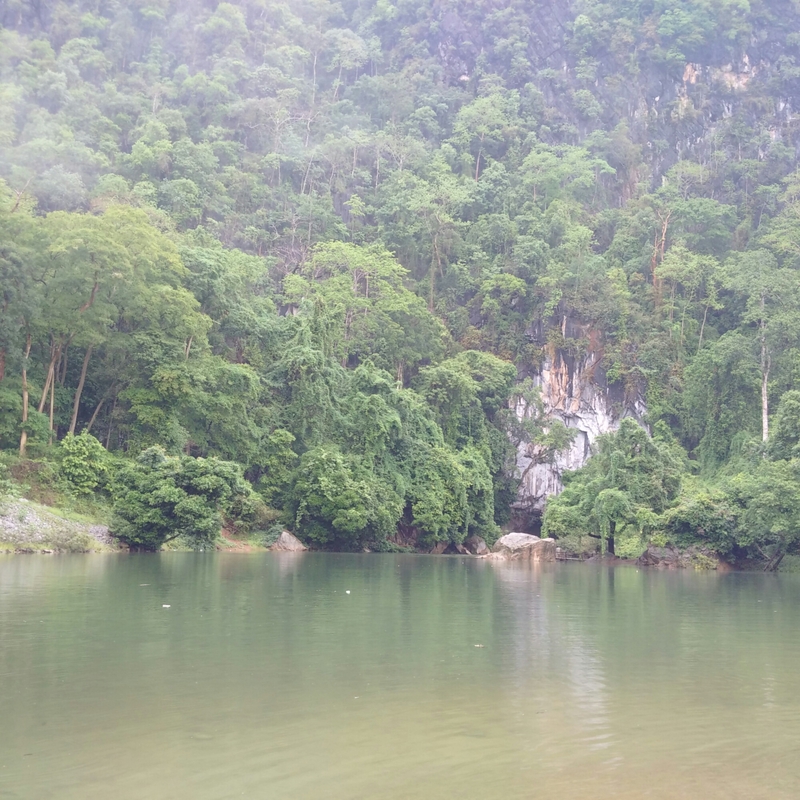 Certainly it contrasts well with Tham Nang Ene cave where for reasons that are exceptionally hard to comprehend, the authorities have seen fit to “improve” nature with an array of garish coloured lights within. A wonderful site thoroughly ruined, and therefore of the two Kong Lor is the one to see and the other to skip. Two experiences (a third was inaccessible due to the rains) and two contrasting ones. The choice is easy.